I may have accidentally (on purpose) just treated myself to an early Christmas present in the form of Urban Decay’s Naked on the Run palette. And do you know what, I don’t even feel bad about it. I first spotted a picture of this palette on my Instagram feed and knew instantly that I needed it in my collection. I love my Naked 1 palette, the beautiful neutrals, the high pigmentation, the ability to wear a single shade for day and then vamp it up with a smokey eye at night. I’ve resisted adding 2 and 3 to my collection as I’m not sure I’d get enough wear out of the shades but this one is different. I’m a sucker for a brown shimmer shadow and this has three, plus two mattes. Not forgetting the blush, bronzer, highlight, lip gloss, eye pencil and mascara, all wrapped up in a gorgeous travel-sized compact. I didn’t actually think it was out in the UK yet but I was wrong. 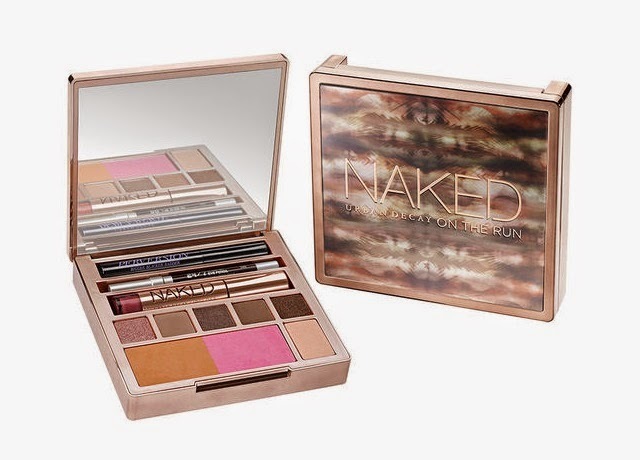 You can get yours from the Urban Decay site now for £37. Thank you, thank you. When it’s arrived and I’m clutching it in my grubby little paws, you’ll be the first to know.